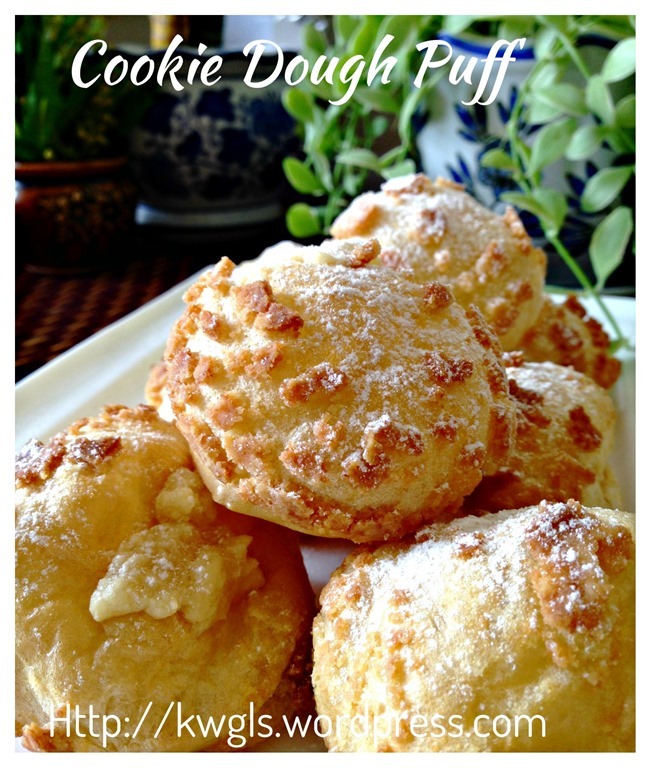 This will be a short post on cookies dough puff. The post had been with me for more than two months. While I am cleaning my computer‘s images library, I noted that it was stuck in my images list and I have decided to issue the post today. 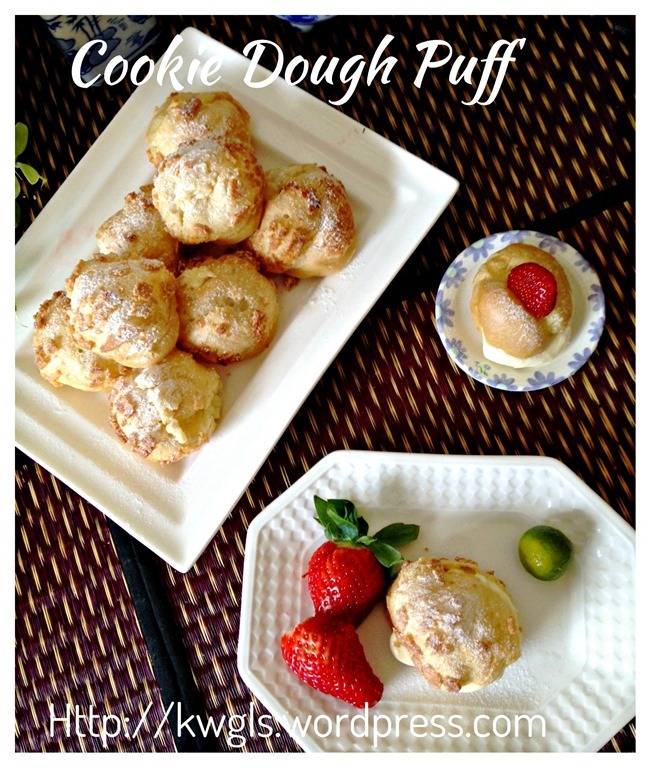 I have to be frank that this is supposing to be a gluten free puff, somehow, I can’t locate the hand written recipe that I was using, therefore, I have decided to share with all the common puff pastry recipe but with cookie dough and calamansi cream cheese fillings. 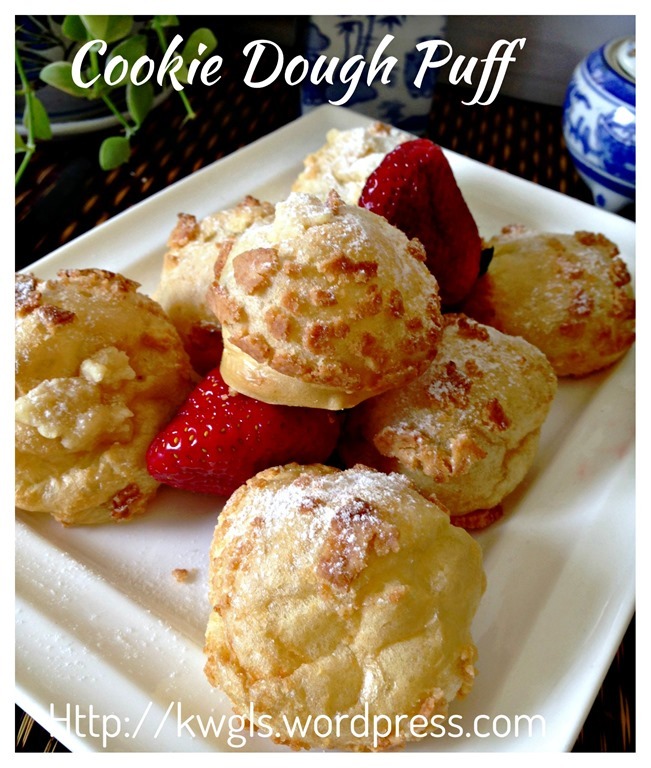 The gluten puff pastry is my own creation using tapioca flour and rice flour. 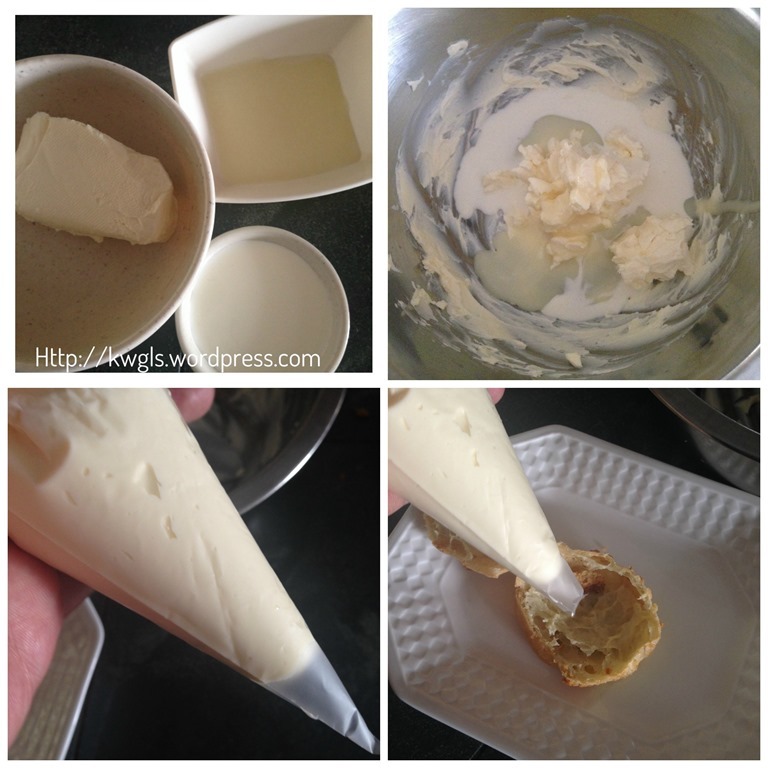 I promised that should I locate the recipe, I will update the post for gluten free puff pastry that hope that will benefit those readers on gluten free diets. 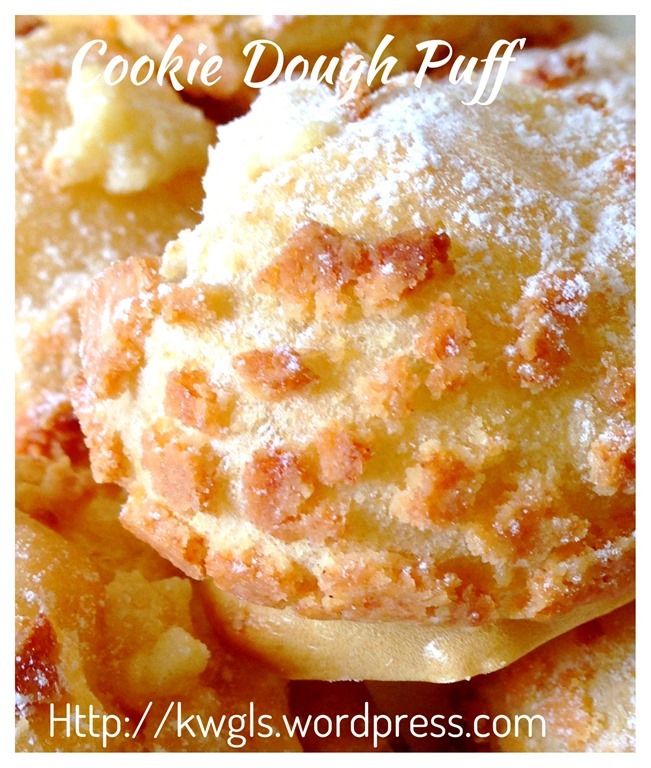 Frankly speaking, I love this dough especially the cookie crusting. 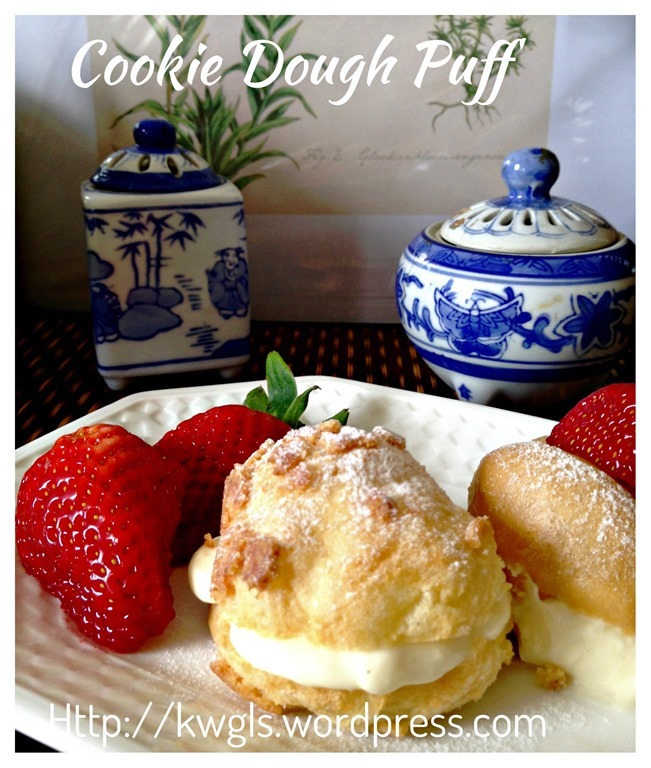 The tanginess of the cream cheese fillings definitely goes well with the sweet cookie topping and puff pastry. 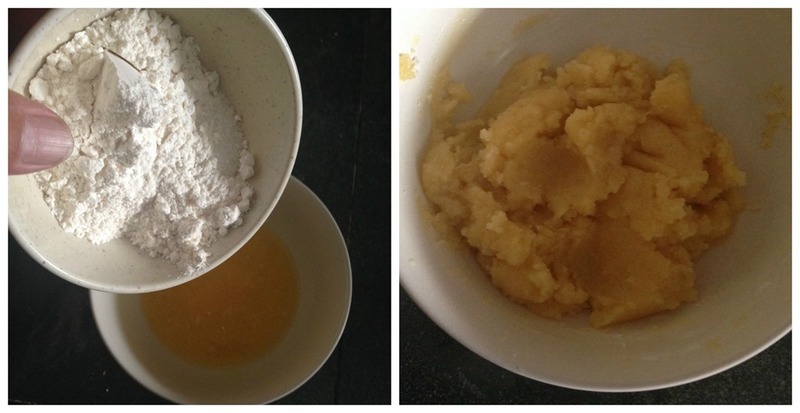 Put the plain flour, melted butter and icing sugar in a mixing bowl, use a spoon to stir until well combined. 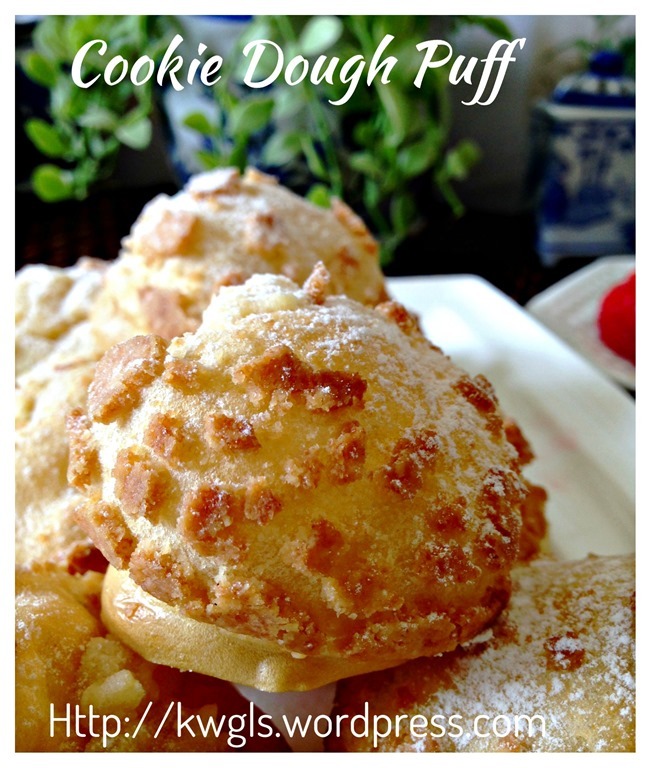 Put the cookies dough on a piece of baking paper, put another piece of baking paper on top of the dough, roll until it is a thin piece with about 2-3 mm thickness. 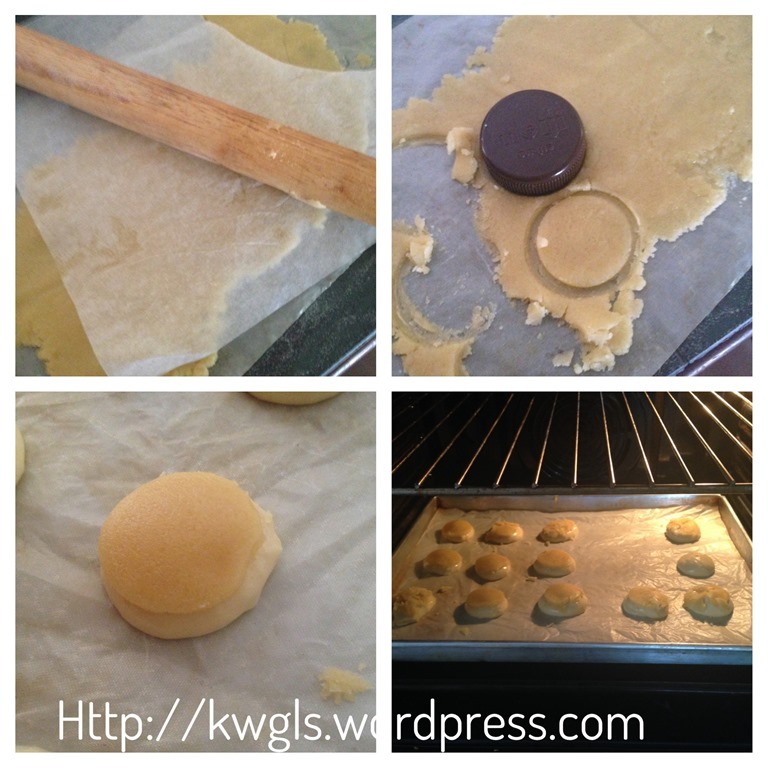 Use some cutter (with about 2 cm diameter) to cut the cookie dough into a circle. 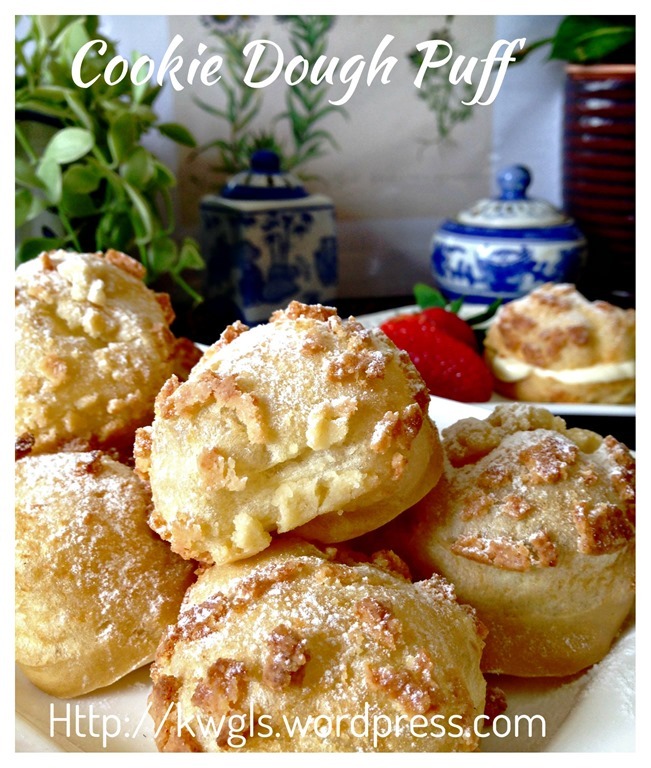 Place the round dough on top of the choux pastry and bake in the pre-heated oven of 200 degrees for about 15-20 minutes. 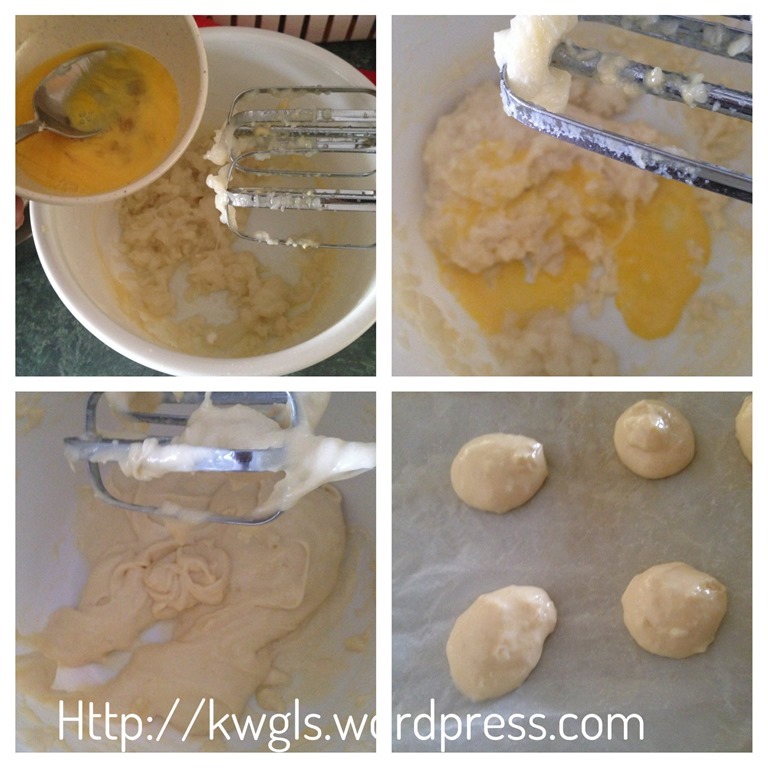 Leave the puff pastry in the oven will the door ajar for 5 minutes (off the heat) before transferring out for cooling in a wire rack. 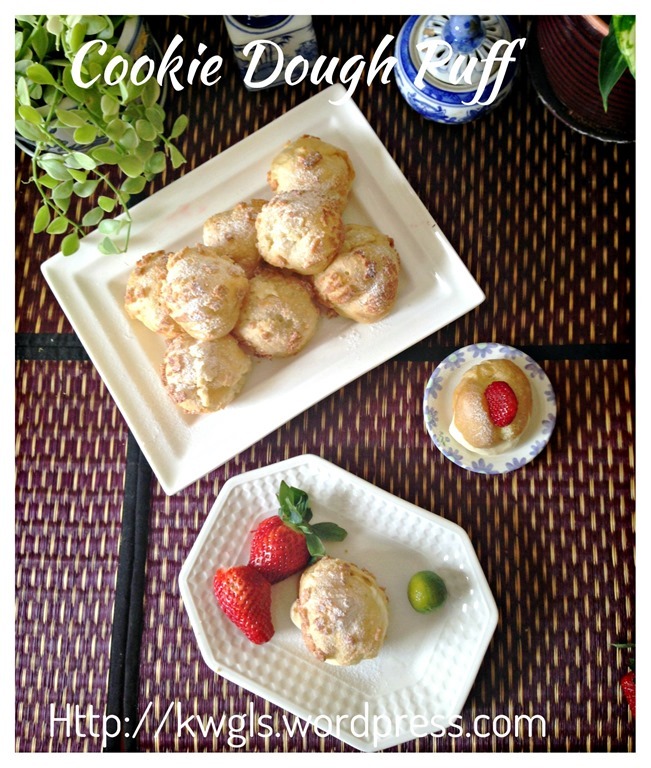 Cool completely before piping of calamansi cream cheese fillings. 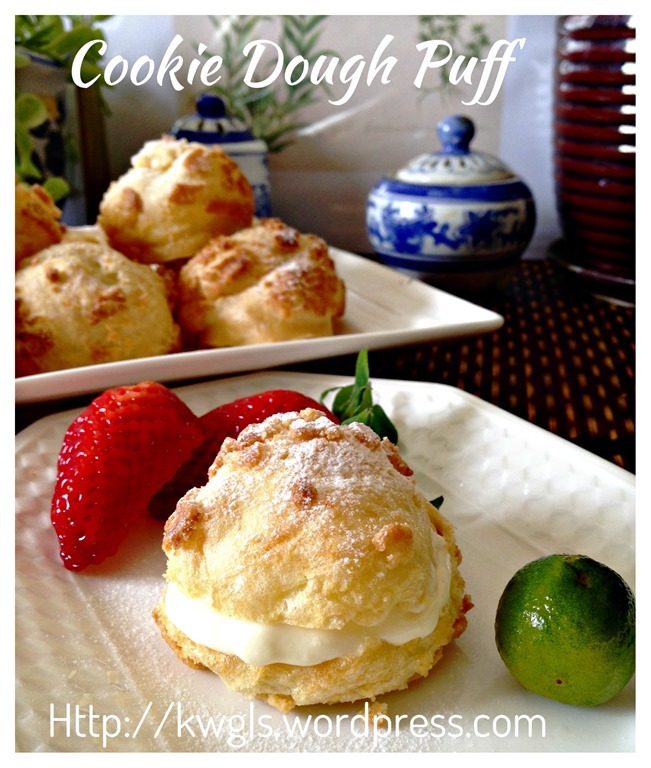 Put the lime juice, softened cream cheese and condensed milk in a whisking bowl. 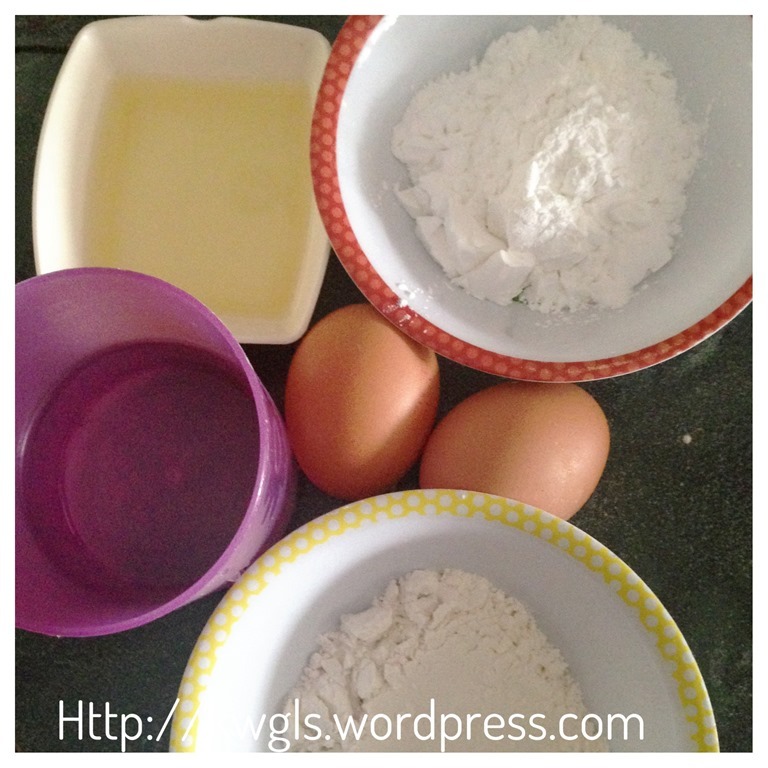 Use a hand whisk to whisk until well combined. 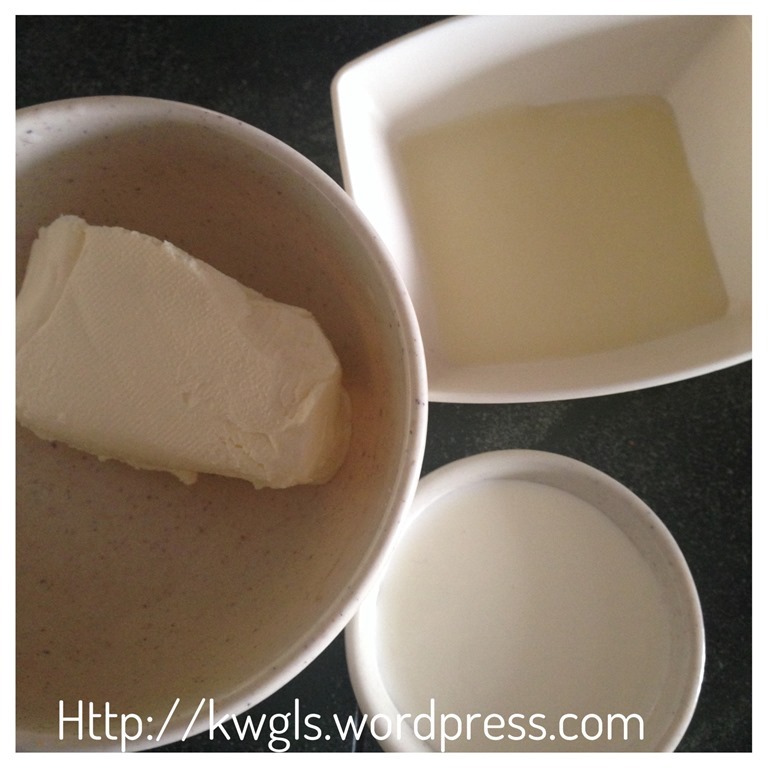 In this stage, you can add the condensed milk gradually until your desired sweetness. However, the tanginess of the lime or calamansi juice do negate the sweetness of the condensed milk. 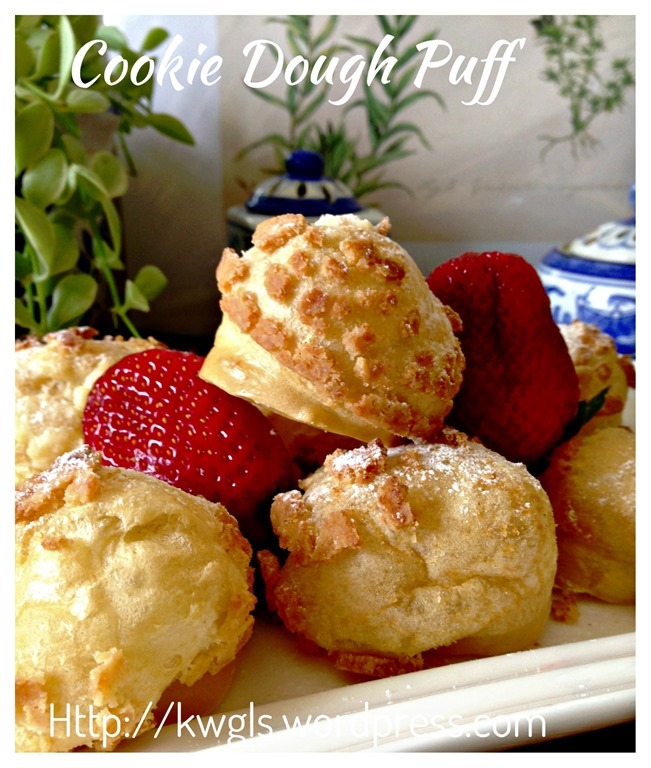 Pipe the cream cheese filling to the cooled cookie dough puff by slicing the puff into half and by using a nozzle of your choice. Best served cold as a dessert after the main meal. 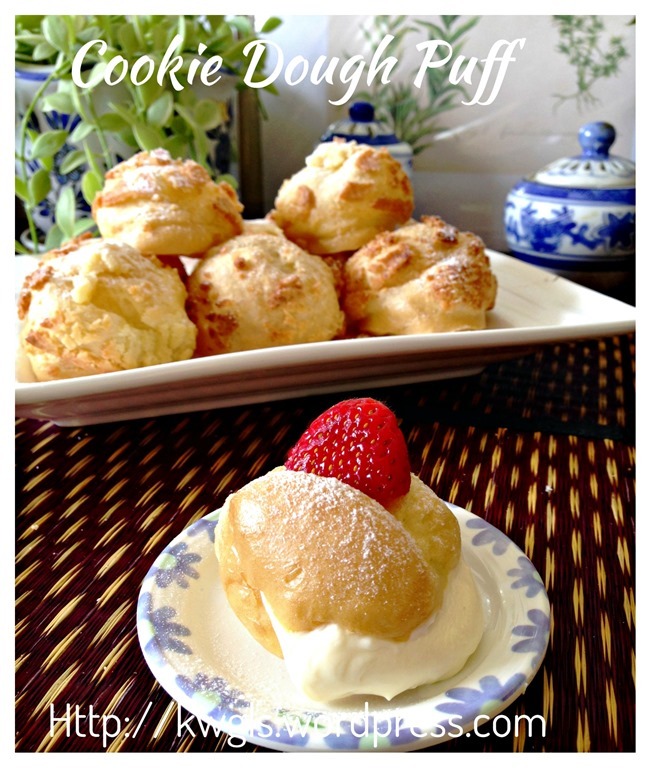 This is a cream puff that I liked especially the cookie dough. 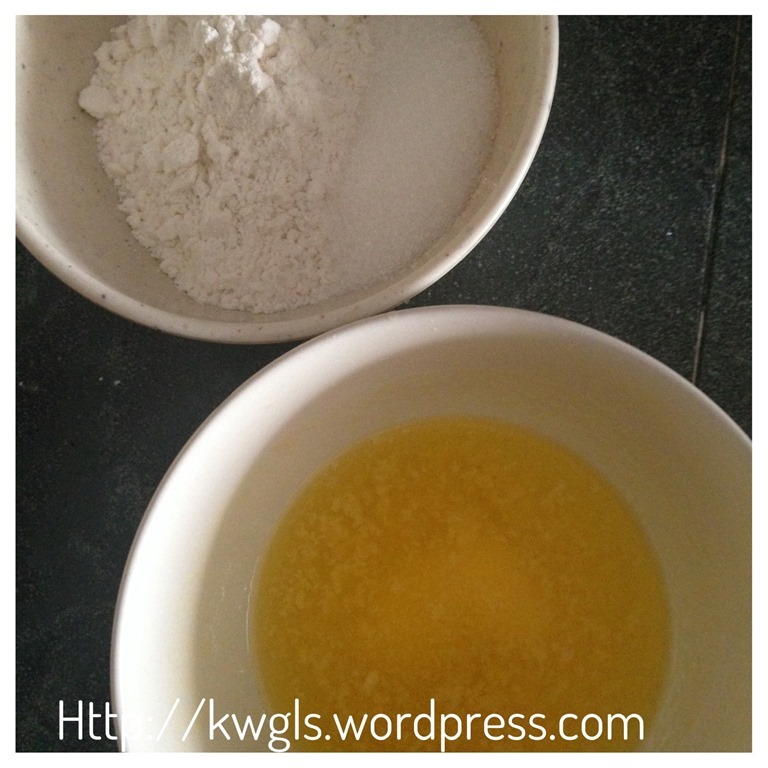 I will update the recipe when I found my hand written gluten free recipe. I deeply apologize for that. 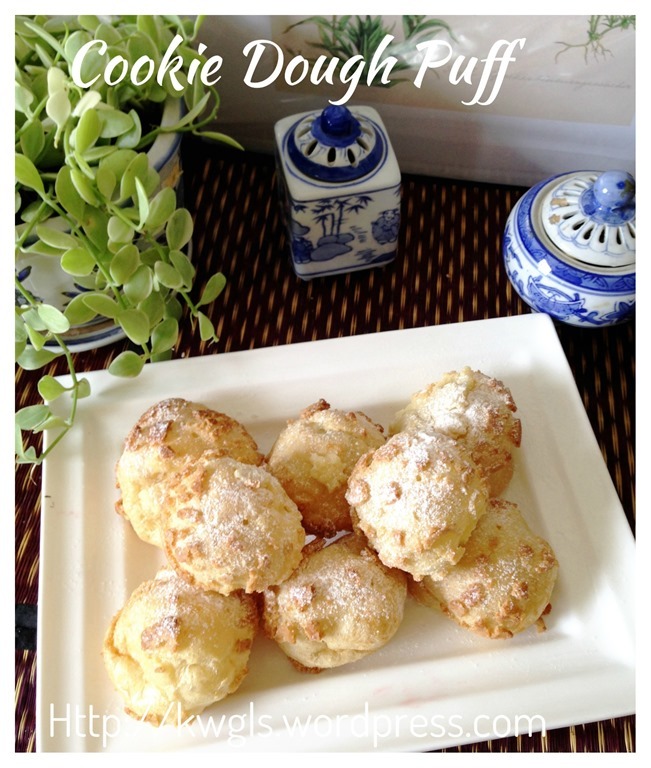 This entry was posted in Cakes and cookies, Desserts, Food Preparation Series and tagged 8, Calamansi Cream Cheese Fillings, Cookie Dough Puff, 酸柑奶酪曲奇泡芙, GUAI SHU SHU, Guaishushu, kenneth goh, postaday, 曲奇泡芙， cookie dough choux. Bookmark the permalink.